Not Black Panther But This Superhero Movie Holds A Record For Most Academy Award Nominations! Ryan Coogler's Black Panther did what Christopher Nolan's The Dark Knight couldn't do 10 years ago. The film managed to break the Academy Awards' norm of no superhero films making it to the Best Picture arena. Black Panther managed to become the first superhero flick to get an Oscar nod for Best Picture. You must know that there was a big backlash that the Academy Awards faced that year as folks criticised the way the committee chose their Best Picture nominations. It reached a point where the Academy had to make a few amends, one that expanded the possible number of Best Picture nominees from five to ten. It was a milestone achieved, all courtesy Nolan's bat-flick. Perhaps that could be a good reason why Black Panther received the nod. However, despite becoming the first superhero film to rake in Best Picture nod from the Academy, there are certain records you still can't break. Such as the number of Academy Award noms that Christopher Nolan's gritty drama earned. 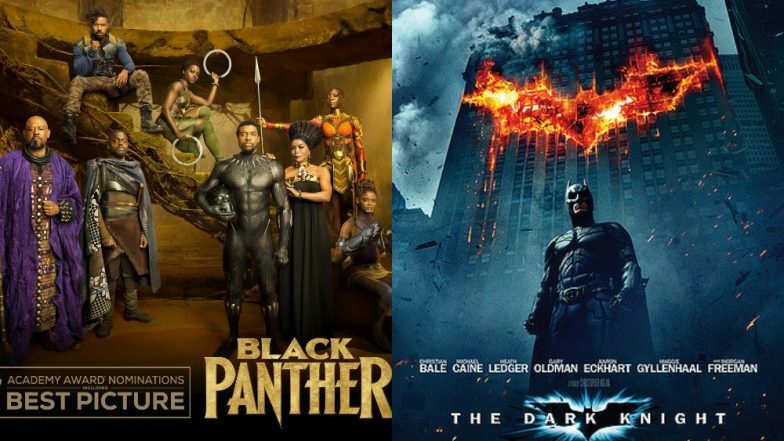 Check out below the number of Academy Award nods that Black Panther and The Dark Knight received, exactly 10 years apart. Call that a #10YearChallenge! The Academy Awards this year shocked many with their list of nominations. Honouring some and snubbing many of the finest works that the industry has seen recently have become the talk of the town. People can't stop pointing at the possible goof-ups the Academy has made. The Academy Awards 2019 will be taking place on February 24 and aired live.